Taking your time to do everything right. But the passage of time is much quicker. You've only done one thing, but should've done four. 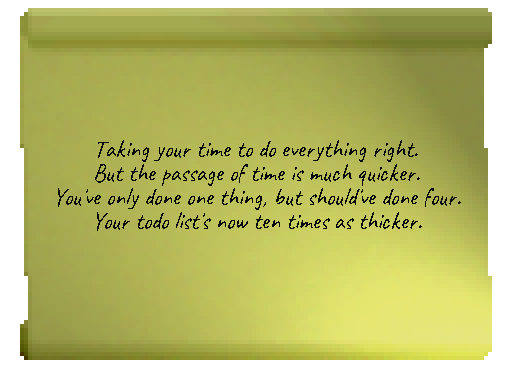 Your todo list's now ten times as thicker.